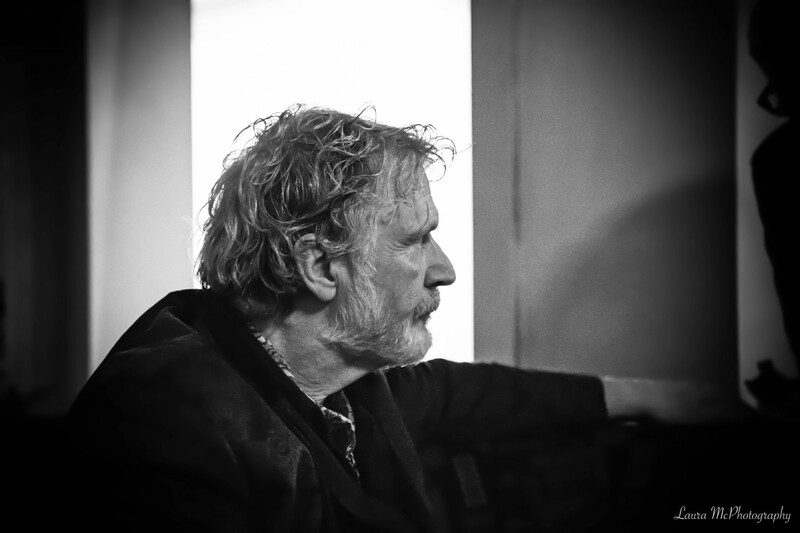 Patrick Bergin – Singer, Songwriter, Actor, Storyteller. 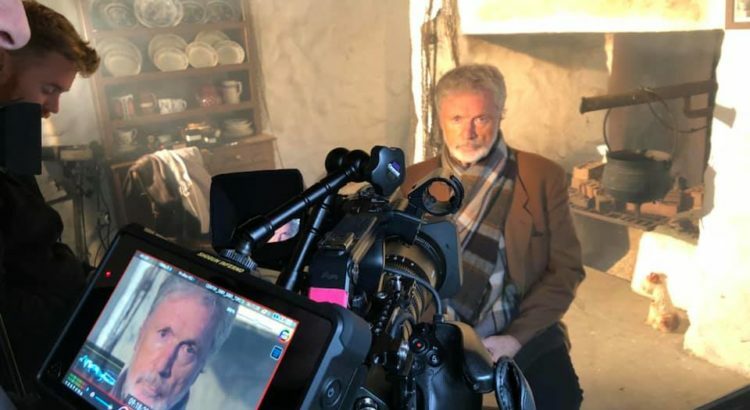 SWITZER’S WINDOW – Words and Music: Brendan Graham Performed by Patrick Bergin ft John Sheahan with Paul Harrington, Neil Martin, The Kylemore Music School Children’s Choir directed by Lisa McGuinness. 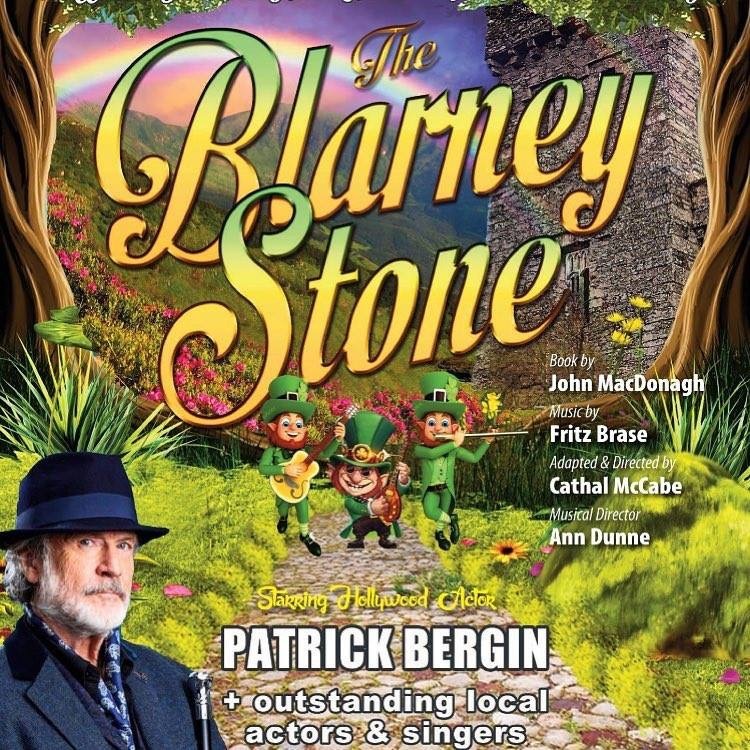 Special thanks to Brown Thomas who are proudly producing and distributing the single. All artiste and song writing royalties from the sale of ‘Switzer’s Window’ will be donated to aid Barnardos! 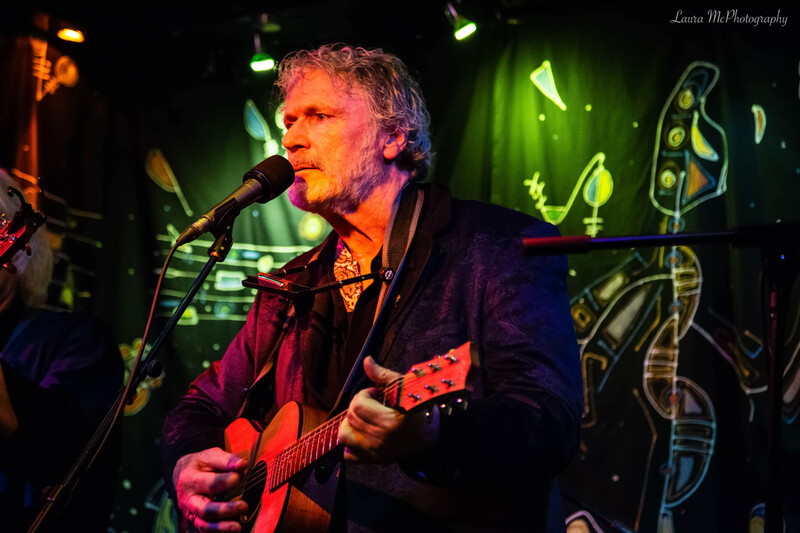 Irish singer Simon Casey has recorded his own version of Tipperary Waltz which will feature Patrick. Release dates will be announced very soon! 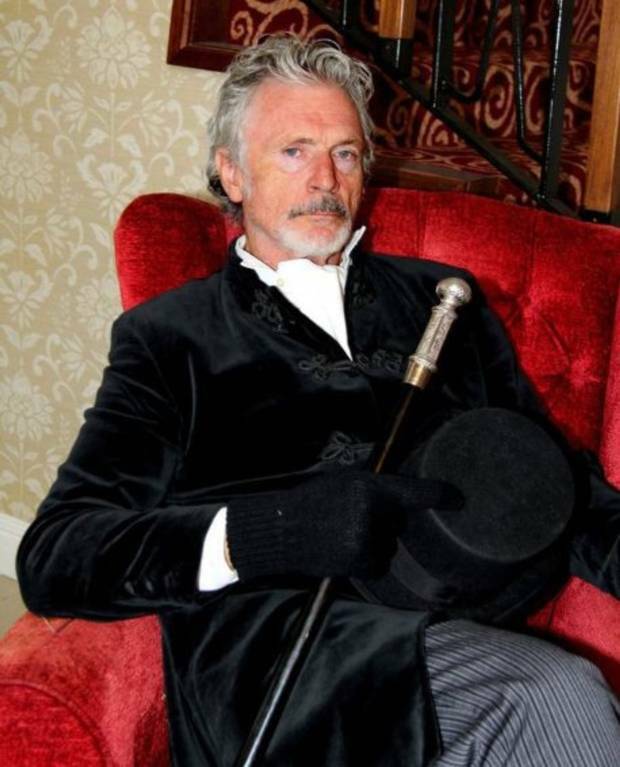 On the 26th of August Patrick Bergin was delighted to join the Trim Salmon of Knowledge Festival. He was asked to introduce a special recording of Charlie Chaplin’s Speech To Humanity. On August 25th Patrick was delighted to be asked to perform for Pope Francis at the World Meeting of Families in Croke Park. Patrick was performing as Pope Francis entered the stadium and this was shown on TV networks around the world. Once upon a time not so very long ago lived a little Irish boy called jack. Jack lived in a small house in a little one-horse town called San Patricio in the middle of a great plain that Indians called A Mesa. From the window of his little house jack could see the vast plain. And a windmill and some of the other houses in the town. He could see the corral where the one-horse lived and he could see the little church of San Patricio where all the people came to congregate on Sundays and Holy Days. 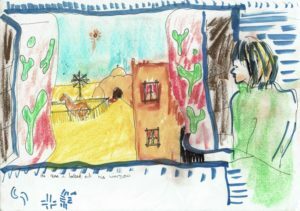 When he went outside into the hot sunny morning to play or to go to school he could for miles and miles and miles because the little town was surrounded on all sides by hot dusty land. The land was so flat it seemed like he could forever. And above this little town on this great flat plain were endless blue skies. At the night sky was covered in a magic carpet, a great spangle of stars that twinkled delightfully above the little town of San Patricio on the great Mesa. One night Jack had a dream. And when he woke up and looked out of his window he saw a great big mountain rising majestically out of the great plain right beside his little town of San Patricio. It was a mighty looking mountain. Jack was so excited he ran outside. He felt brave and now that he was a commanchie he was a Brave. So, he ran to the corral and jumped up on the horse that was really just a pony and started to ride towards the mountain. He rode up the foothills of the mountain. At first the mountain was covered in lush green grass and he could hear it swish as he galloped joyfully up and away. On he rode and rode through the grass and gradually as the hills got steeper and turned into the mountain proper Jack came upon the trees growing tall and thick upon this great mountain. On he rode up to and through the trees into the wood. He was brave, and his pony was strong and safe. So, he rode through the wooded forest. He could see patches of blue above the trees and he could hear the sound of water as he came upon a mountain stream. There Jack saw a tall deer drinking from the cool waters. The deer looked and looked at Jack straight in the face. Jack could see the eyes huge and shiny and a dark magnificent horned antlery and they just looked at each other a long while then as Jack crossed the stream on his pony the great stag turned and disappeared into the woods. On and on Jack rode. Sometimes he’d come upon a trail and on he would ride stopping only to marvel at the magnificent and beautiful flowers that adorned the side of the trail (or the small patches of blue he could glimpse above the trees and the shafts of light that cut the forest like shafts of glistening ice) and the he would lose the trail and yet on he rode because he was a Commanchie and he was Brave. On and on he went as he neared the summit of the mountain the forest gave way to the hard rock and it grew steeper and it was hard to ride Jacks’ pony was a little tired, so jack got off the pony and as he could not see the summit he led his pony gently across and up the rocky slopes until they reached the pinnacle and there was the most magnificent sight of all. For just below them on the other side a glorious green and fertile valley, Jack and his pony were almost breathless and so they just sat and gazed at this wonder for what seemed like hours and as he watched a shadow crossed Jack’s face and he looked up and he could see a magnificent eagle circling above, it circled and circled and as it circled a feather from its wing. The eagle took it in its beak and then dropped the feather down. The feather came circling and circling and circling ‘til it came within reach of Jack’s hand and he reached out and caught it. The eagle gave a loud screech of recognition. Jack took the feather and tied it in his hair and as he gazed down into the valley sitting beside his pony he thought if he could give a place a name he would name this place ‘Commanchie Point’. And so this place is known. Then they heard a sound from the valley below and both Jack and his pony stood up. It was a whinny. For down below in the valley was another pony a beautiful brown and white pied-baled pony. She whinnied again, and Jacks’ pony replied. Jack let go of his reins and let his pony gallop down into the valley to play with his new-found friend and he watched them run together two horses running like the wind. And as they ran the green grass turned golden from the sun that was setting across the valley and Jack watched the ponies sport and play. He saw them disappear into the golden light. Time passed and as the sun went down the evening turned to twilight and Jack knew that he would have to return home alone. He started to climb down the rocky slopes and although his heart was full his tummy was quite empty. Jack the Irish Commanchie Boy was hungry. He searched for food but all that he could find to eat were some wild black and red berries growing on bushes near the edge of the woods. Jack ate the berries and they were delicious, but he did not eat to many because now that he was an Indian he was careful, and he knew the ways of the woods. He knew there could be dangers in the wood so before he entered he broke himself a good strong stick with a small fork at one end. If he had had time he would have painted it with the juice of the wild berries to make it look nice, but the night and the darkness were coming in fast and he knew he must hurry home. Jack grew thirsty and he stopped to drink at the mountain stream where he had seen the stag. So, jack knew he was on the right track. On he walked through the wood and as it grew darker and darker Jack began to lose his way. 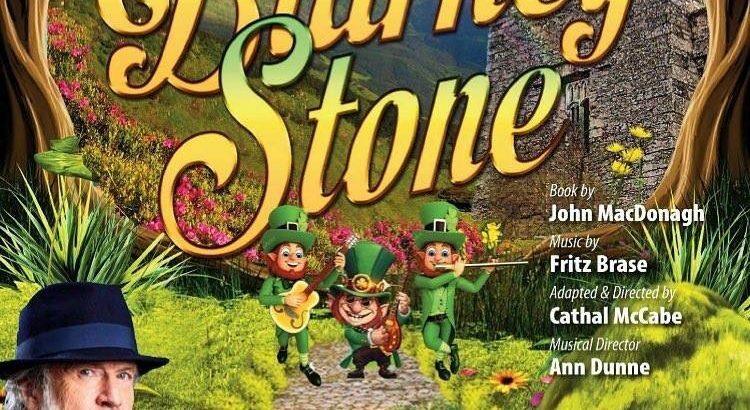 He had to break his way through the trees with his strong stick yet on and on he went but Jack the Irish Commanchie grew tired and although he felt he should be home by now “perhaps I’m lost, and I will have to spend the night on the mountain”. As he said these words he came upon a cave in the side of the mountain. He peered inside and although it was dark the moon was beginning to rise and in its pale light he found a dry corner to lie himself down. It was a was a warm drowsy cave with a warm dusty smell like that of some animal a bear perhaps. But Jack was tired, and Jack was brave and so Jack swiftly fell asleep. When he woke it was first light and although he was warm and cozy and could use a little more sleep he knew he must be on his way. But as Jack was about to leave the cave he heard a hiss and there in the mouth of the cave was a snake coiled and dangerous. Jack shrank back into his corner nervously. Then he remembered his stick with the forked end and grew brave again. He approached the snake with great caution and with the forked end of his stick, he moved it back and forth teasing and almost hypnotizing the snake. Then with a swift and accurate movement he trapped the head of the snake beneath the fork of his stick. Keeping him their Jack maneuvered himself out of the cave. Just as he thought he was safe his foot slipped on a rock and he fell down the edge of the mountain. Luckily for him he was near the edge of the lush green grass and just tumbled and tumbled and tumbled over and over and over again down and down and down the mountain side swishing thought the long green grass until he came to a stop not far from his house. Jack crept in quietly to the house and into bed and although he was a little sore and bruised he fell fast asleep immediately exhausted after his wonderful adventure. Very soon there was a knock on the door. “Wake up wake up” said his Father. It’s time to get up and get washed and ready for church. Jack could hear his Father and Mother moving around the house and he could smell the food that would be devoured as soon as they got back from church. What a wonderful dream I’ve had he thought as he started to rise from his bed then as he opened his eyes and looked he gasped as he found a beautiful eagle’s feather lying on the pillow next to him. Jack picked it up. Jack remembered his dream. He grew excited and he jumped from bed and he rushed to the window and looked out, but the mountain was not there it was gone. 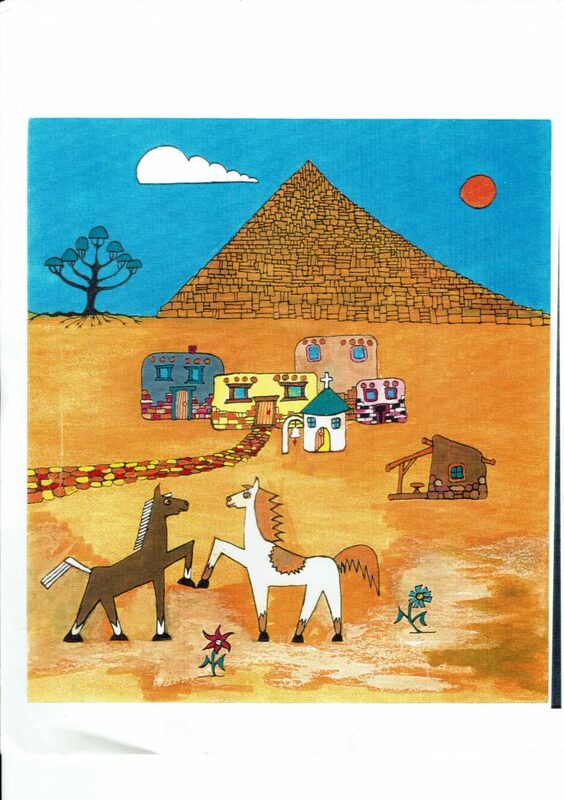 Jack was a crest falling but then to his surprise he looked towards the corral and in it he saw there were two horses. The beautiful brown pony and the beautiful pied baled filly from the valley of his dreams. Jack felt a warm glow inside his heart. Jack smiled to himself. His Father came to him and said, “come on Jack hurry or we’ll be late for church”. “What are you smiling at” asked his Father looking out the window. Jack pointed at the corral and said, “well Dad I guess we don’t live in a one-horse town anymore – we live in a two-horse town”. His father smiled and just then the bells rang out from the little church of San Patricio across a two horse town on a great plain the Indians call A Mesa.